So what happens after you achieve certification? Many people say achieving certification is not the hard part, the hard part is maintaining certification! Luckily there is Mireaux! For companies who got certified but do not have any resources to keep up with the management system, or for companies who had somebody in charge but that person is no longer available; Mireaux can step in to help ensure the integrity of your management system is preserved. See below how Mireaux can help and call us at 713-589-4680 to learn more. Mireaux provides on-demand Document Control assistance for ISO or API certified organizations not wishing to have dedicated Document Control employee(s) or similar type of resources. Regardless of your location, management system certification, or software used, Mireaux’s Document Control services will ensure that your management system is kept in check when changes are due. For organizations using our Web QMS software, the process is easier and faster, since we can make updates to your management system instantaneously. 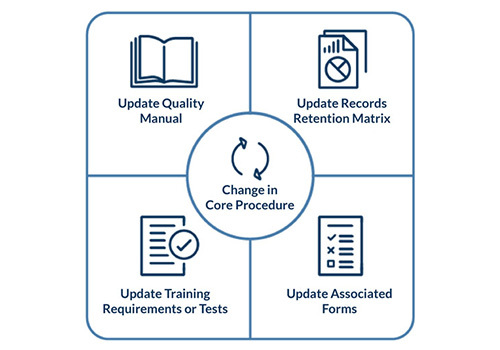 Mireaux Associates are trained to process changes holistically, knowing that a change in a core procedure may spark updates in the Quality Manual, associated forms, documents of External Origin, Records Retention Matrix, training, etc. Call us today and let’s talk about how Mireaux can help with your Document Control needs. Mireaux brings a fresh perspective to your documentation, helping you maintain up-to-date and accurate procedures and clarifying instructions for the right audience. Using process mapping and excellent procedure writing techniques, we can help your organization break your processes down and then build them back up into a format that employees can easily read, understand, follow, and most importantly feel their own. Discover how your employees have more time to do what they know best while they let us handle the details. Is a Document Control person required after we get certified? Becoming ISO or API certified is just the beginning of a journey. 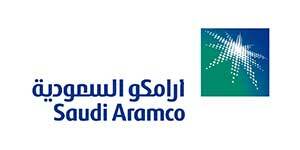 Maintaining the certification is the most challenging aspect of the certification process. Remaining certified entails not only following the processes and procedures that were established, but it also requires maintaining the integrity of the management system when changes occur. Updating your management system is part of the continual improvement principle all standards promote, therefore you have to handle them appropriately to remain in compliance. While these responsibilities can be shared by everyone in the organization, duties related to updating of documentation, such as procedures and work instructions, are often relinquished to an employee with Document Control responsibilities. After years of experience, Mireaux strongly promotes a centralized Document Control function, as best practice. In fact Internal and External Audit results, often show Document Control as the main source of findings, which can easily be prevented with good Document Control preparation. What to expect from Mireaux’s Document Control Services? Documentation can vary from organization to organization, based on the number of employees, complexity of the processes, and the standard or specification involved. List of legal requirements, etc. In essence, Mireaux ensures the availability of up to date information, allowing your organizations to keep its management system performing effectively. How can Mireaux help create procedures or other documentation? What procedures can Mireaux help with? Mireaux uses process mapping techniques to narrow down and identify core and support processes absolutely necessary for your organization. If your organization has already identified the processes in need of formal procedures, call Mireaux and let’s discuss how we can help accomplish your document writing goals. Why is having detailed or accurate procedures important for our management system? Why should I outsource maintenance of our certification? Please click here to see the benefits of letting Mireaux help you maintain your certification. Project Description: Implementation of a Web-Based Quality Management System that is simple to use, maintain and update, that could be easily accessible and that will eliminate the need for binders (2009). 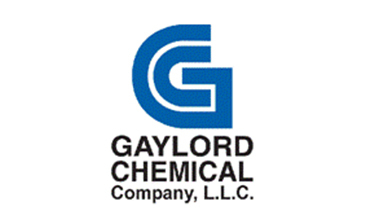 Our work with Miriam at Mireaux Management Solutions has been extremely beneficial to Gaylord Chemical Company. Miriam provided expertise that helped us quickly and effectively update, streamline and organize our QMS system. Our Quality Management System is now Web Based with a training module to educate new users and assist those less frequent users in how to use our QMS. In addition Miriam assisted company personnel in creating an ISO 9001 system that enhances the quality of our products and improves our customers experience with our company. Thanks to Miriam and Mireaux Management Solutions for their efforts!